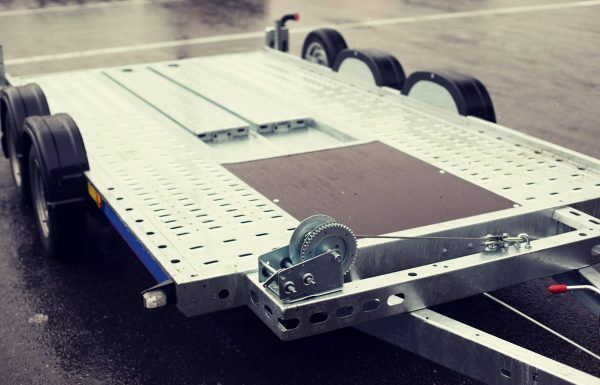 When it comes to towing a trailer, it is vital that you have the proper set up and trailer weight distribution. One major component to accomplishing this is your ball mount, which will either lower or raise your hitch ball to keep the trailer level as you drive. So selecting the right ball mount for your vehicle and trailer combination is key for ultimate towing safety, reliability, and performance. But choosing the right ball mount is not enough; it must also be properly installed to fit your trailer and towing vehicle setup. A question that commonly arises about ball mount arrangement has to do with height. Many drivers want to know what the proper height for a ball mount is when towing a trailer. If you are wondering the same, you are in the right place! There are 3 simple steps to determine the right ball mount height for your trailer. Continue reading to learn how to do them. Step ❶ Write down the measurement of the height from the top of your vehicle’s hitch receiver tube. Step ❷ With the trailer on level ground, measure the height of the bottom of the coupler. Step ❸ Now simply subtract the trailer coupler height from the receiver height. ✏ The answer is the drop required for your ball mount! Call Zore’s Inc. at 317-247-8484 for friendly 24 hour towing and recovery in Indianapolis, Indiana. We open a family-owned and operated business for 90 years, so you can trust us for prompt and professional service. We are open 24 hours a day, seven days a week, and 365 days a year, so our certified tow truck operators can be there for you anytime, any day! Request free estimates, anytime. This entry was posted in Towing and tagged 24 hour towing Indianapolis, ball mount drop trailer, Indianapolis Towing Assistance, towing a trailer ball mount, Towing trailer tips, trailer ball mount height. Bookmark the permalink.